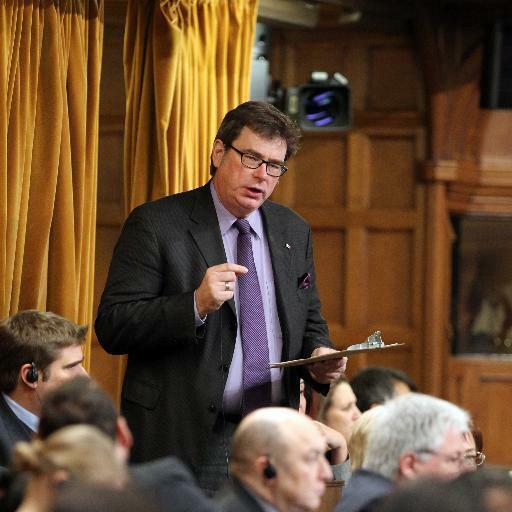 is pleased Parliament passed S-6 to abolish the 'Faint Hope Clause' at 2nd Reading - Bloc and NDP voted against the Bill! is not sure why James Cameron deserves an audience for his opinions on Oil Sands development? wants to know how many Opposition MPs will be wearing flip flops to the House of Commons today (like they did last night during the Long Gun Registry vote)? wonders how many NDP MPs are tortured over whether to vote their constituents' wishes or their leader's will on the Long Gun Registry? cannot find a single law in Canada where the first offence is regulatory and subsequent offences crimimnal - the long gun registry cannot be fixed as the NDP claim! Furious that the Public Safety Committee was shut down before the important disccussions on passenger security could take place. Political games played by the opposition do nothing but prohibit us from ensuring Canadian's national security. Can I get a "SHAME"?? In Ottawa for a special meeting of the Public Safety Committee re: airline security and passengers showing their face to confirm identity. Back in Ottawa for a quick yet busy and productive few days! Had a busy weekend-- attended the Yellow Ribbon Gala on Saturday night to raise money for the Military Family Resource Centre, and spent Sunday Morning cleaning up the Sturgeon River Valley and planting a tree in St. Albert! back in Ottawa after a weekend in Montreal! House Duty all day today-- looking forward to the Alberta Enterprise Group Reception tonight!! EKOS of the Week: CPC hits 33%!!! Public Safety Committee will start hearing witnesses on C-391 (An Act to Repeal the Long Gun Registry) today! Wondering what the real reason why the Alberta Government is NOT holding Senate Elections this fall...? ?